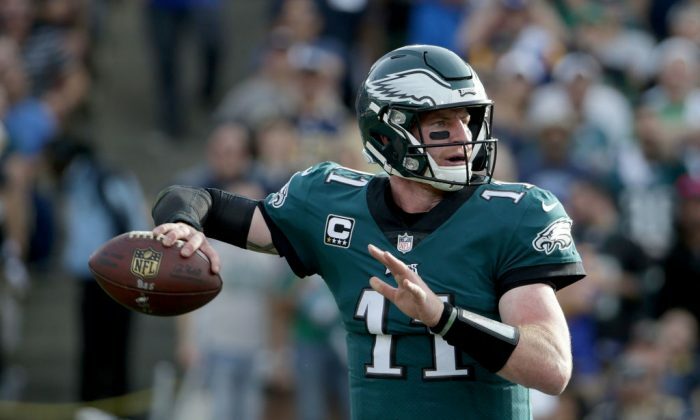 Philadelphia Eagles quarterback Carson Wentz hit back after criticism in response to his photo of his dog and some geese they hunted down together. One of the photos showed the dog sitting next to a pile of dead geese. Some people responded to criticize Wentz. “20 dead birds? Did he eat all 20 of those or just shoot them for the heck of it?” said one. “Appreciate that, but offensive and controversial? Two of the main things I tweet about are Jesus and huntin,” he said.